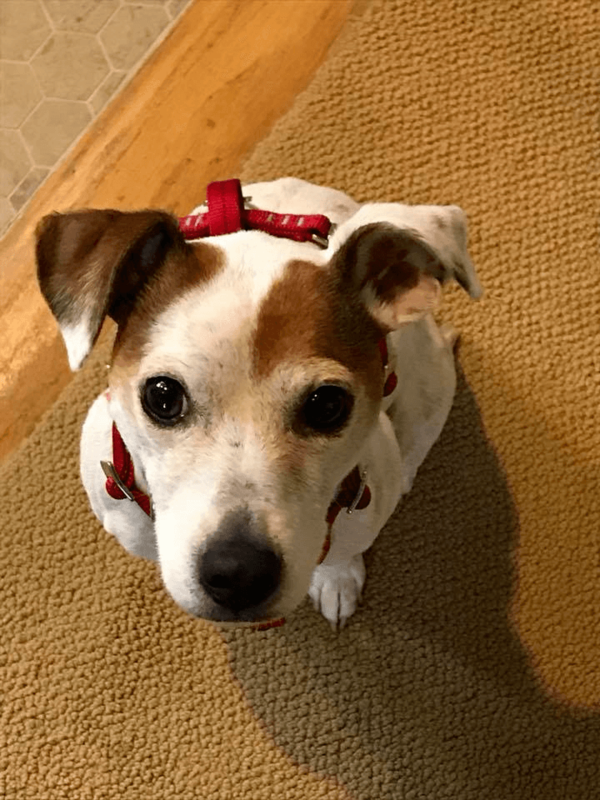 Sophie Percy is a 7 year old Jack Russell Terrier who loves life who has never met a stranger. She could win an Olympic Gold Metal in the high jump category. She practices her event every day at the front window of Dog Days, where she likes to say hello to everyone who is walking by. She just recently moved to Birmingham from Gadsden. The move was not easy for her, as she left her “nephew” and best Labradoodle buddy, Benjamin. Finding new friends at Dog Days has brought her our of her new-kid-in-town funk. Her favorite pastimes are chasing squirrels on her back deck and taking naps in her bed.